The Department of Housing spent almost a year in 2016 working up an affordable-housing scheme based on the idea of giving cash subsidies to private landlords, before it was shelved. In July 2016, the government had promised to sew up and launch an affordable-rental scheme “to provide quality and affordable accommodation for households currently paying a disproportionate amount of disposable income on rent”. The scheme, it said in Rebuilding Ireland, the government’s housing plan, was “at an advanced stage” and “will be finalised” by the end of the third quarter of 2016. The target was for at least 2,000 affordable-rental properties by 2018. 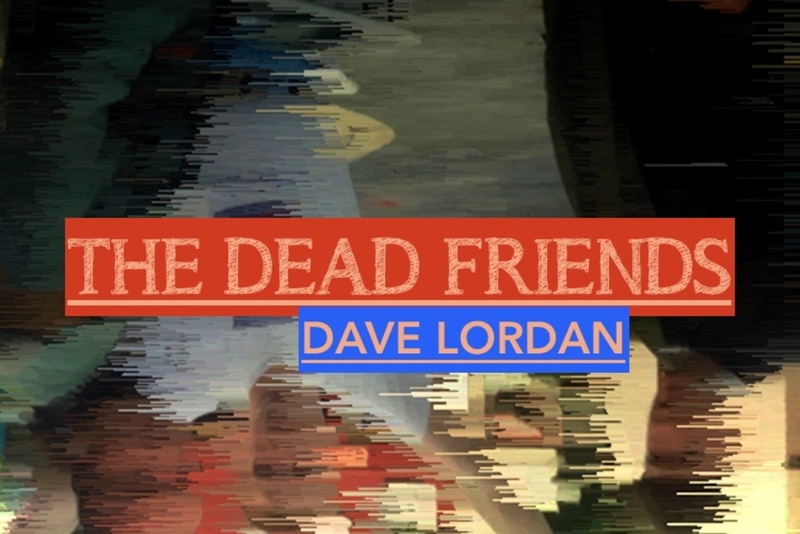 But after a year of back-and-forth between the Department of Housing and the Department of Public Expenditure, this scheme had been abandoned by early 2017, according to records released under the Freedom of Information Act. The draft scheme was metered off market rents and tenants’ incomes, with the idea that households shouldn’t pay more than 30 percent of their income on rent. The state would have ponied up 30 percent of the market rent, while tenants would have paid the rest, a draft business case from October 2016 says. It would rely on developers of new-build apartments, who would be willing to sign up to be part of it for 20 years – and get to keep the asset at the end of it, it said. It also had to be off-balance sheet – so, designed in a way that it wouldn’t add to the state’s deficit under EU fiscal rules – records say. 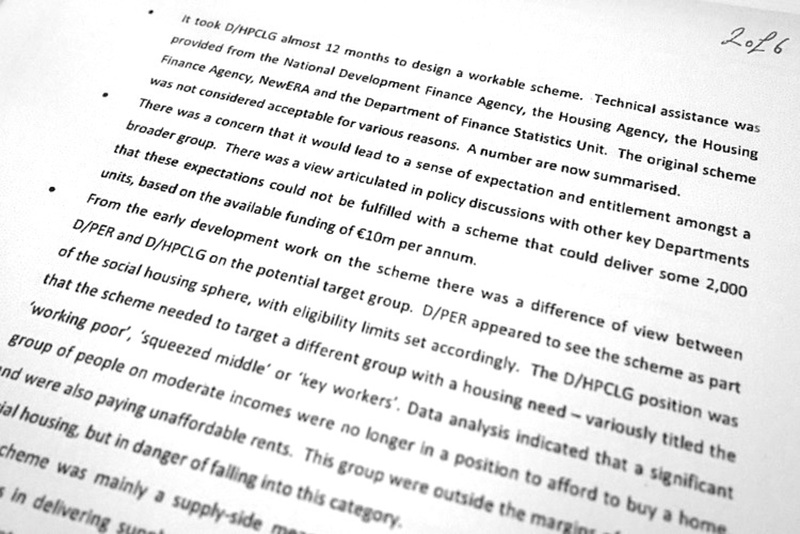 An October 2016 summary paper for a “senior officials group meeting” notes that the department was trying to design the scheme in a way that would attract interest from investors and landlords, while also making sure rents were affordable to tenants. It compared the scheme to what investors could make on the market. The key conclusions were that the model “would generate a yield which is around, and in some instances below, what could be achieved currently in the private rented sector”, it said. So, while the most effective step was to test it, analysis suggested that “the attractiveness of the scheme from the provider’s point of view would be marginal”, it said. Reducing the costs of delivering units and paying the “provider” an extra administration fee of 5 per cent of the value of the subsidy too, “will have the benefit of providing an additional incentive to participate in the scheme, without contributing to rental inflation or giving rise to increased payments”, it said. Offering state lands at market value to those developers and “property providers” engaging with the scheme would be another later option too, the draft case said. That final draft scheme, and earlier versions, had been subject to considerable feedback from officials at the Department of Public Expenditure and Reform. 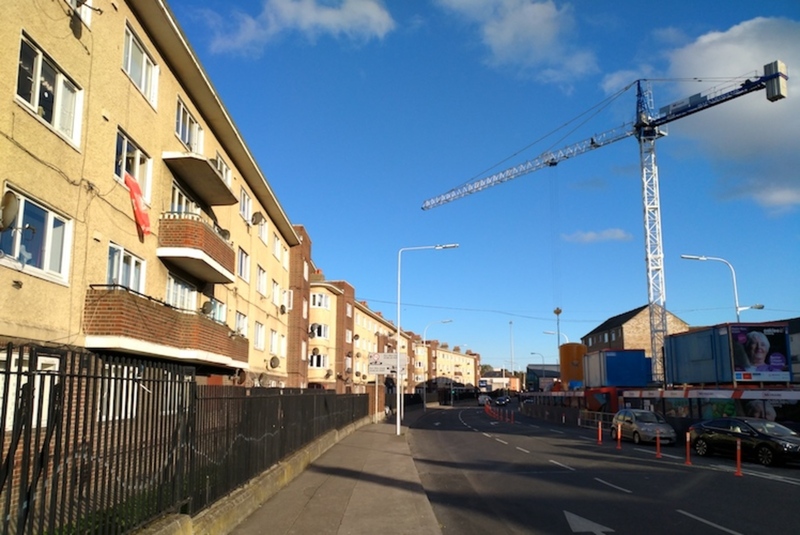 In August, an email from Tom Heffernan, a principal officer at the Department of Public Expenditure and Reform, said that the way the draft didn’t draw conclusions around options for tenants and viability was “confusing”. It also said that “some of the conclusions are not based on evidence presented in the draft”. In particular it queried the 5 percent administration fee. It questioned how – given that the scheme allowed for a 15 percent profit margin, and a 7 percent investment yield, as well as generous construction costs – the Department of Housing could conclude that the “attractiveness of the scheme from an investor point of view is marginal”. It also asked whether the Department of Housing had taken into account that the landlords and developers would retain ownership of the assets and little risk, and listed several queries in relation to the eligibility of tenants on different incomes, among other queries. 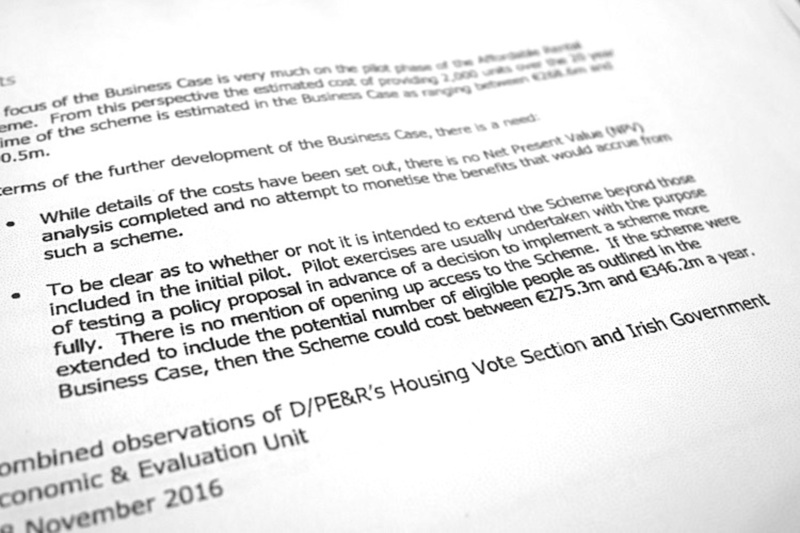 On 8 September 2016, following a meeting about the pilot affordable-rental scheme, Heffernan at the Department of Public Expenditure sent more feedback about costs. The scheme “should not be constructed in a way that uses higher costs, rents and incomes in the current dysfunctional housing market to determine incomes and eligibility that loses sight of the scheme’s objectives and value for money considerations in an attempt to make it very attractive to potential private providers”, he said. He said there should be more explanation of margins, and set out other policy options in some cases. “It should not, for instance, as it currently does, present only one option for management and administration of the scheme when other options are worthy of consideration and may post less risk than the one being proposed,” Heffernan said in the email. In November, the Department of Public Expenditure gave another chunk of feedback on the latest version, again raising scores of issues with the scheme, and the logic of the proposals, which that department felt still needed to be ironed out. It said the Department of Housing still needed to set out the general market failure it was seeking to address, and show how no other policy intervention would be more effective. It also needed to set out all the metrics around each part of the scheme, from the level of demand for affordable accommodation to the impact of the scheme in terms of duration and the like. The business case hadn’t explored options, it said. It “focuses on variations of one option and it appears to be a case making exercise for a pre-determined scheme”. 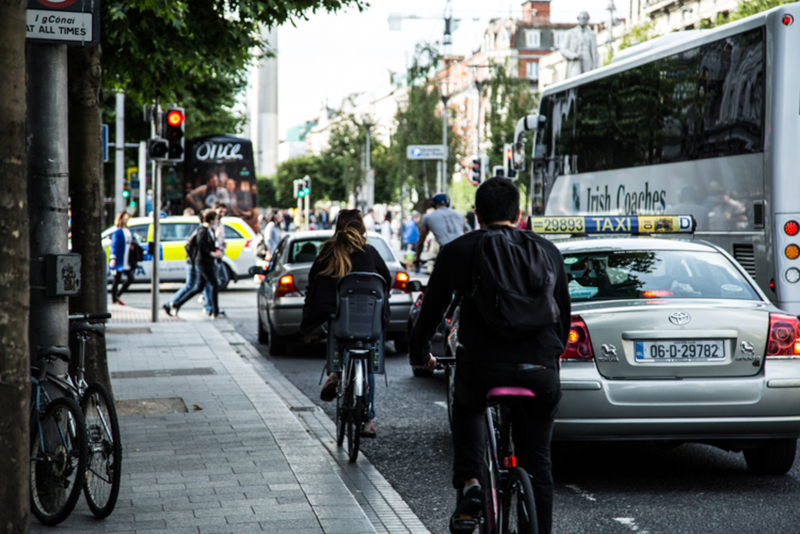 It also hadn’t addressed a fundamental risk – that such a scheme doesn’t appear to have been tried either in Ireland or internationally before, the note said. The Department of Housing needed to show that this proposed scheme was more effective than other approaches, such as the Housing Assistance Payment (HAP) scheme, VAT reductions in construction, cuts in development levies, and reforming elements of construction costs. 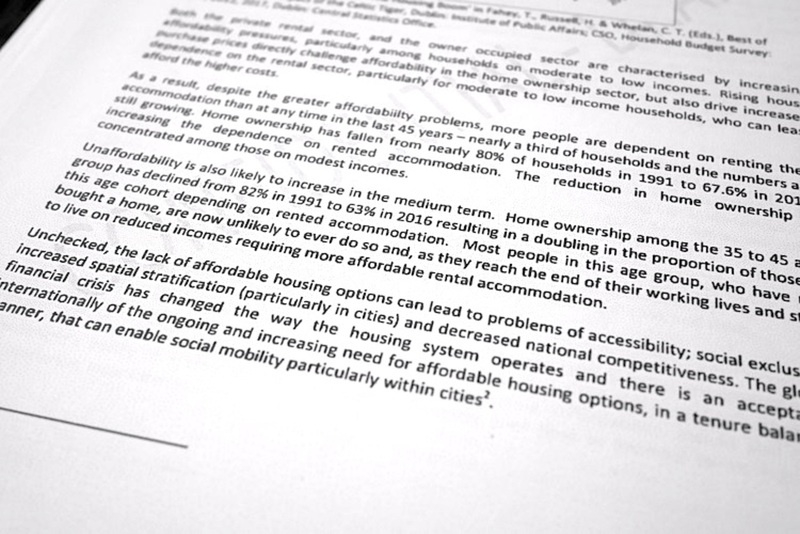 The Department of Public Expenditure asked how this proposed affordable-rental policy interacts with other government policies, and on rent prices. It wanted the assessment to take into account other government initiatives that it said would reduce construction costs, and asked whether the Department of Housing had taken those into account in its calculations of what would be viable. It also wanted the Department of Housing to set out how it would increase the supply of homes, and address how the requirement that the apartments were to be at least 15 in a block would risk being portrayed as “a transfer of taxpayers’ money to large-scale property companies”. The two departments also didn’t seem to see eye to eye over the costs and future of the scheme. In its summary note in October, the Department of Housing said that it would cost around €235 million for the 20 years of the scheme. That would provide 2,000 affordable rental homes, simultaneously. Officials at the Department of Public Expenditure said that pilots are usually tested, and then rolled out further. So if it were expanded to everybody who is eligible – in this case between 66,000 and 83,000 people – it could cost between €275 million and €346 million a year, it noted. Back in February, the Department of Housing had noted that the model was being designed based on “which funding is available, with €10 million being provided on an annual basis”. It also said in March that the government had agreed a key objective was it must off-balance sheet. An annual pot of €10 million had been committed in 2016, and was to be funded from the proceeds of the sale of Bord Gáis Energy, for up to 20 years, according to the February document. If the state used this money as capital funding to directly build homes, they would be delivered gradually over 20 years, and it could pay for between 886 and 995 homes, the Department of Housing said. Given, though, that this would be funded through a stream of Bord Gáis money each year, rather than a lump sum, it wouldn’t be possible to build all the homes at once and “in a manner that is neutral to the general government balance”, it said. Also, “a benefit of affordable rental is that all 2,000 units are expected to be delivered by 2018”, it said, in October 2016. “Because we can’t meet the needs of everybody shouldn’t mean that we meet the needs of nobody,” it said. By February 2017, the scheme was dead. In an issues paper, as the Department of Housing set on another path – this time, looking at a scheme that used state-owned land as a subsidy to bring down the cost of housing, rather than state cash – it summarised what it thought had killed the scheme. There was a concern that “it would lead to a sense of expectation and entitlement amongst a broader group”, the note said. The two departments disagreed over the potential target group, too – with the Department of Public Expenditure seeing it as for those on the social-housing list, and the Department of Housing targeting it at those on higher incomes. Policy input from the Department of Public Expenditure in November 2016 would have undermined the viability of the scheme, and there was also a difference in interpretation as to whether the subsidy was too generous, the Department of Housing said. You may also want to read “No Exchequer Money for Affordable Housing, Department of Public Expenditure Said Last Year” in this week’s edition.